From weekly wrap-up meetings to daily check-ins among different teams, meetings take up a large portion of the workday. Most teams fail to link the time and topics needed at their meetings with the actual job that needs to be accomplished. This can be detrimental to the quality of progression in your business since on average professionals attend over 60 meetings a month and waste around 50% of that time in the meeting. Employees can often become frustrated as they feel that meetings are taking them away from, rather than adding value to their work. 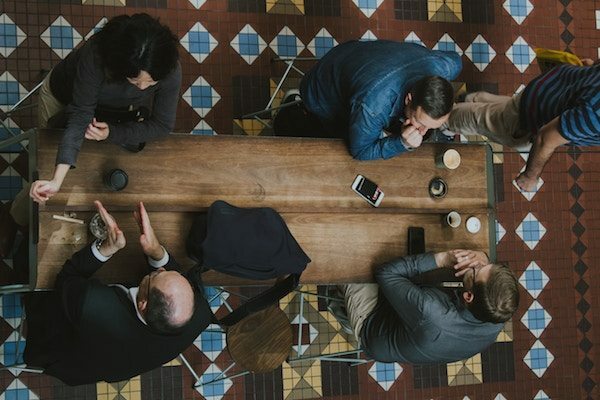 In an era where speed and efficiency are strategically prioritized, many companies also fall under the assumption that running important business meetings over simple email threads or text messages can help increase productivity. However, research shows that 93 percent of contextual elements – such as non-verbal cues, tone of voice, context, and feedback – reveal more information about a discussion, but are hidden when using only technology to communicate. Successful companies have deployed creative methods to improve the quality of meetings, for both verbal and non-verbal interactions. An optimal meeting results in a company’s ability to hold even fewer meetings in the future, with an increase in productivity and impact. This type of meeting also improves the quality of the workplace culture and allows team members to feel their contributions are being felt throughout the company. Here are a few tips you can deploy for a more productive and enjoyable experience for your meetings. Meetings are places of decision-making. That’s why it’s critical to set an agenda and bring to attention any shared questions, concerns, and goals. You’ll want to share it with participants prior to the meeting, to ensure that everyone is on the same page. Stick to around five main bullet points to cover, as anything less would probably be best covered over a simple phone call or email thread. During the course of any meeting, it’s easy to go off on tangents as well, which sometimes can be a good thing to spark new ideas. Liane Davey, a contributor to Harvard Business Review, recommends assigning one team member to be a sponsor for each agenda item and making the sponsor accountable for the quality of the discussion. Use your agenda to steer the course of discussion and maintain an appropriate room for collaboration. This might be obvious, but depending on the agenda set, it’s easy for the meeting to carry over in another direction. Aim for meetings to be in intervals of 15 minutes in length, as it’s easier to list as slots in your calendar. Tools within Google Calendar – such as Find a Time – is a feature that helps coordinate this effort, by allowing you to bypass scheduling and ask Calendar to intelligently suggest times that work for your team. As you keep track of the duration of a meeting, you can align your conversations to move in a timely fashion to cover your bullet points. Sometimes, you’ll want to plan out an entire slot for any overflow, to help prevent cramming at the end of meetings and reduce the likelihood of wasted time on issues requiring only a portion of the team. Depending on the number of people involved, being mobile and having meetings in different areas can help stimulate new ideas and discussion. Some people are prone to be idle and unfocused during sit-down meetings, so taking a walk outside or at a nearby restaurant with your team members is a great way to change things up a bit and make meetings healthier and more pleasant to have. Allow your team members room to form a collective debrief of the meeting so that everything is fully covered on the agenda. According to Jim McCann, a leading player in the gourmet food and gift baskets industry, it’s best to reserve 20% of every minute to review the next steps and to optimize team behaviors. Apple is one company that deploys a strategy of assigning responsibility for tasks and decisions at the end of every important meeting. Each task covered was assigned a D.R.I. (Directly Responsible Individual) and providing public accountability for that individual to ensure that task is well taken care of. Take control of your meetings and talk with members of the BOS team today!